The Federal Government should take concrete steps to address the issues and grievances of the Sabahans as expressed by their Barisan Nasional (BN) component party leaders, said Gerakan acting president Tan Sri Dr Koh Tsu Koon. "Some of these issues, such as illegal migrants from the Philippines and Indonesia, have been long-standing issues, affecting the livelihood, social fabric and security of the Sabahans," he said in a press statement today. "This undesirable situation had led to much discontent amongst Sabahans who have also raised questions about how some illegal migrants managed to get permanent resident and even citizen status." Koh said it is necessary to set up a Royal Commission of Enquiry to prevent more illegal migrants from entering Sabah, as requested by some BN component parties. He also added that there should be more basic infrastructure projects in Sabah, especially to improve road transportation and utilities, such as water and electricity supply, in order to provide better quality of life. 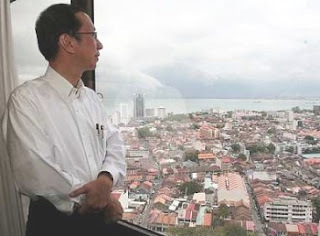 "From my recent conversations with Sabah BN leaders, it is clear that they are very much concerned about seeking policies and programmes to provide acceptable solutions to such issues affecting the Sabah people, and not so much about seeking high positions for themselves," Koh said. Although Sabah is blessed with many natural resources, such as petroleum, gas and rich bio-diversity of tropical forest, Sabah still has the highest rate of poverty at over 20%.